Welcome to another special Faith Blog Hop sponsored by Paper Tree House Studio! At the end of every month a group of bold women gather to give Glory to God with the talents He has given us in a very loud way... :) Our prayer is that through the projects we have created you will be able to see Him in all of His Glory! May He touch you today as we look at the theme of the Proverbs 31 Woman, and may you find that you are indeed everything He designed you to be. Follow the line-up and please leave some love throughout the way. Start here at Paper Tree House Studio and allow yourself to cry, laugh, smile, along with any other emotion the Lord may bring your way. If you have come from Karel, welcome! You will find that there are many prizes throughout the hop. In order to qualify to receive them you must be a follower of the blog and you must leave a comment. Know that if you are announced as the winner of a prize you are responsible for contacting us in order for us to make the prize go your way. Make sure to check Paper Tree House Studios for the list of sponsors and a chance to win some special prizes. Now let's get on to the hop! There is so much heartache in this world that it is so much to bare. Then, when we look at our own lives and those of our loved ones, it seems as if the tide is coming in and there is no way out. It grieves my heart to see women struggling or hurting at times, not knowing which way to turn. Maybe that is you today. Whether you are struggling with sickness, loss, financial burdens, or struggles with their children know that God stands with you every step of the way. I wish I could tell you all of the times God has been by my side in times of pain and struggle. There has been so many times where I can say he made a miracle when there seemed to be no way. I know he will do the same for you. God always seems to encourage at the perfect time. The last six weeks I have been involved in a bible study called, Scouting the Divine. The author Margaret Fineburg goes deeper in scripture about wine, wool, wheat, and honey. This last week we studied the vine and what it meant for the Proverbs 31 woman to plant a vineyard in verse sixteen. 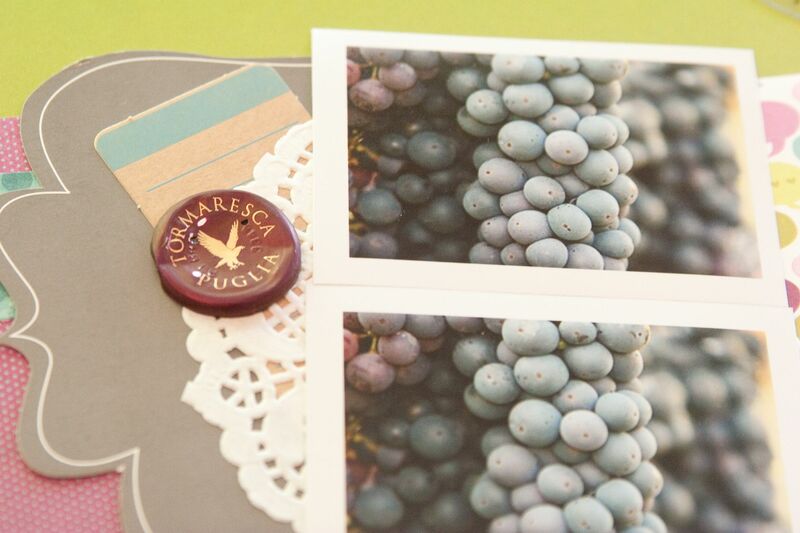 The author interviewed a vintner and asked him why did she plant a vineyard; she could have planted anything but she decided to plant grapes instead. The vintner explained that this woman was thinking long term. To plant a vineyard takes great patience and time as the first harvest isn’t seen for at least four years and then to drink its first wine is at least seven! This makes for a beautiful picture. The Proverbs 31 Woman was planting the vine for generations to come. Jesus also reveals himself in scripture as being the vine and we are the branches. When I think of this woman planting a vineyard I see her hard work planting Christ in the lives of each of her family members. Her children will be touched by her hard work and so will the lives of those around her. As her children grow, they will continue her legacy, showing Christ’s love to those they come in contact with as well. With her hard work and dedication in tending her fields, there will be a great harvest. Although, we really can not do this job on our own as Christ says, “Apart from me you can do nothing.” My prayer for you today, is that you are encouraged to continue the hard work God has for you today, for the harvest will be great in the days to come. I would also like to bless you with a giveaway! 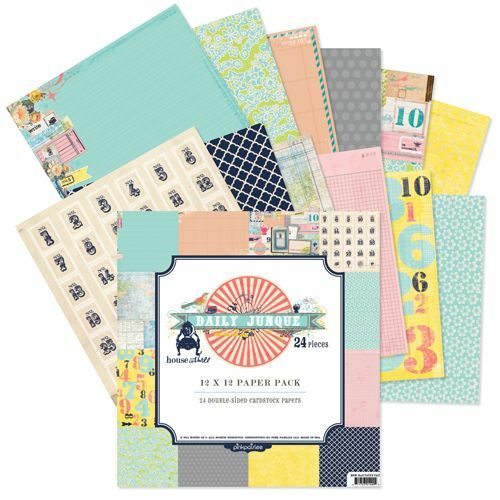 Comment on this post for a chance to win this 12x12 paper kit and this stamp set of my new favorite line, Daily Junque by Pink Paislee. I will pick a random winner, Monday May 30th. 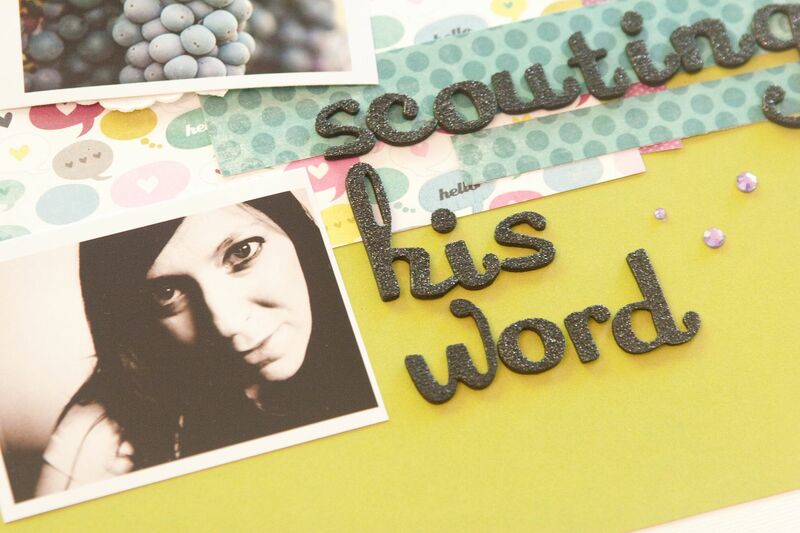 Next on the blog hop is, Kari.... Make sure to check out her lovely project and blog called, Purple Funtastick Creations. Create Well: Be encouraged to continue the hard work God has for you today, for the harvest will be great in the days to come. 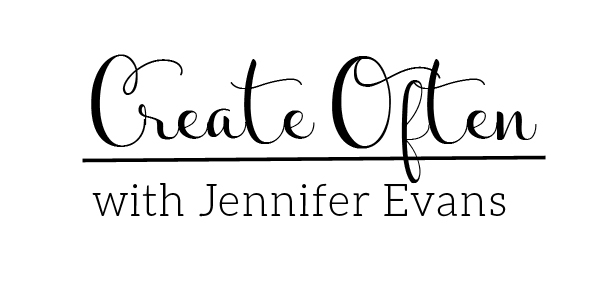 This blog hop is a great way to get to see so many talented women of Faith...thank you so much for sharing your artworks and inspirations. What a wonderful way of looking at the passage. I pray what I plant in my children's lives will bear good fruit. Thank you. Wow, that's a great thing to remember, why the women plants a vineyard. Thanks so much for that explanation. Love your layout! So bright and shiny. 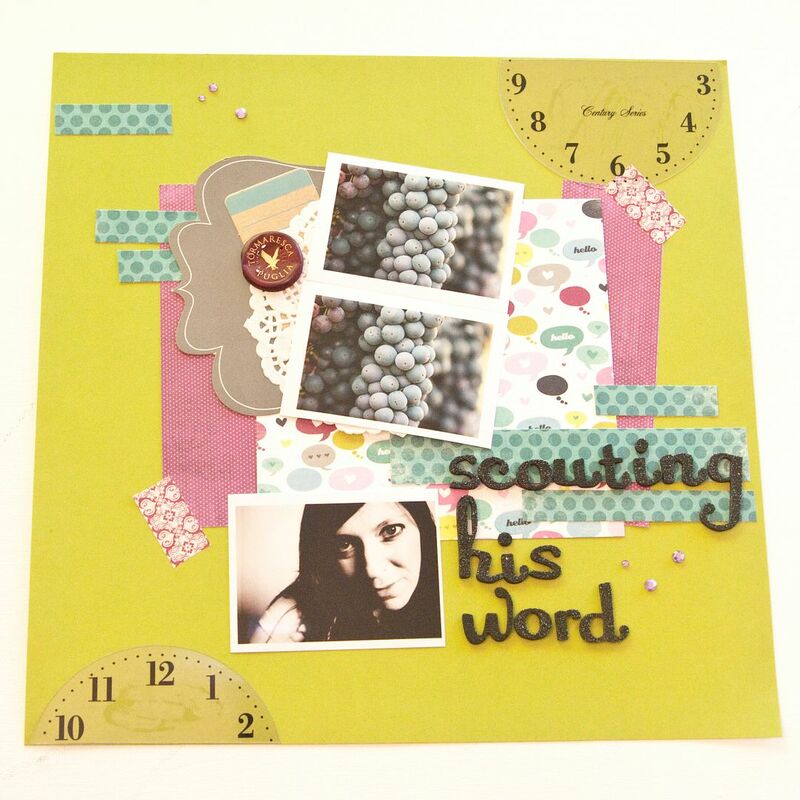 What a fabulous blog hop. So much inspiration to be had. Such a wonderful layout too. Thanks Jen! Wonderful! I never thought to use post printout as journel. I am so blessed to be able to hop along here and given many insights into the word of God that I may never have come to on my own. I had never even hear of Paper Treehouse before today, I know I found this hop for a reason on the wonderful path God has set before me. Love your layout. I am now following through google reader. Thanks for sharing! 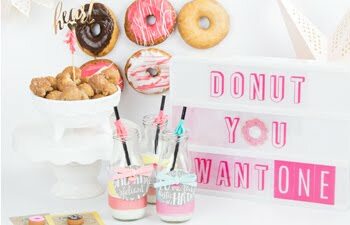 What a wonderful idea for this Blog Hop! I love your layout and the other projects on your site! Jen...I love the story behind the layout, and I'll definitely check out the Faith Blog Hop (what a neat idea). I love your style and this layout is great! What's really cool to me is that I meet with two other ladies in our church plant in an accountability group on Friday mornings, and we just decided to go through Proverbs 31 again, so this is really inspiring to see how this passage of scripture has spoken to you. These are words that I definitely needed to hear (read) today. Last week I was downsized 3 days before having surgery. I was the sole provider for a family of 5. I am now facing a more difficult (and necessary surgery) while paying medical out of pocket. Through all that, the Lord has given me a great peace. It has been many years and His "vine" has allowed me to grow in ways I could not possibly imagine. Your layout is lovely and I will definitely be following your blog. Love the layout you created, the colors are great! Thank you for sharing with us! You have an amazing blog!!! Thanks for sharing such a powerful message!!! And thank you for your generosity . . . such a beautiful prize!! This is a fabulous layout! 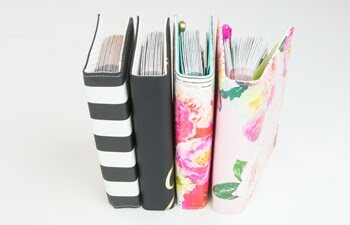 I love your idea of printing out your blog post as the journaling! what a beautiful layout! Thanks for the opportunity to win and for the great inspiration! 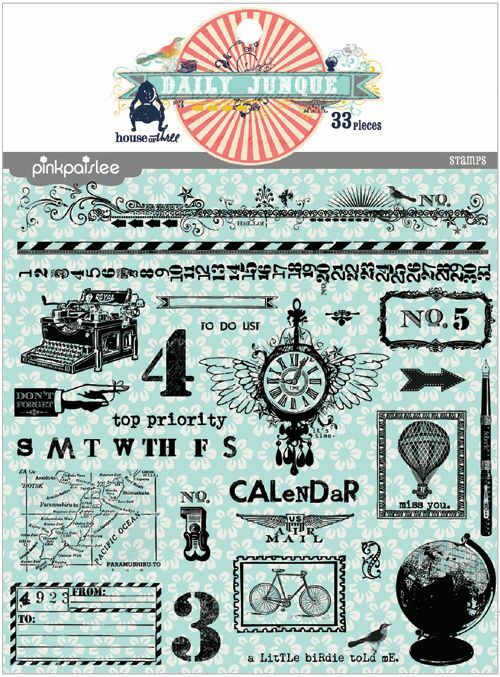 I am really enjoying the paper treehouse blog... It's new to me. 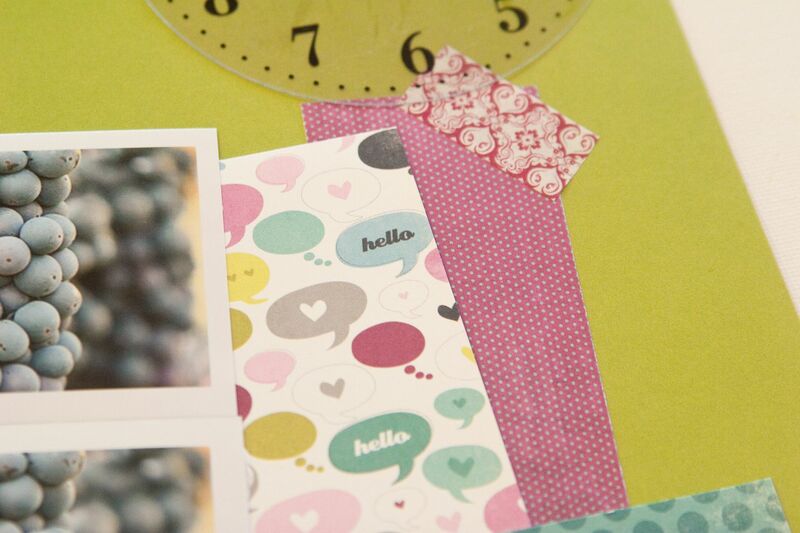 I'm loving this blog hop.....getting to meet lots of new friends! Thanks for sharing! Beautiful page!! Thank you for sharing such a wonderful prayer. I work as a mammographer and sometimes need to be reminded of the importance of what i do. Great LO!!! I love the color combos. TFS!